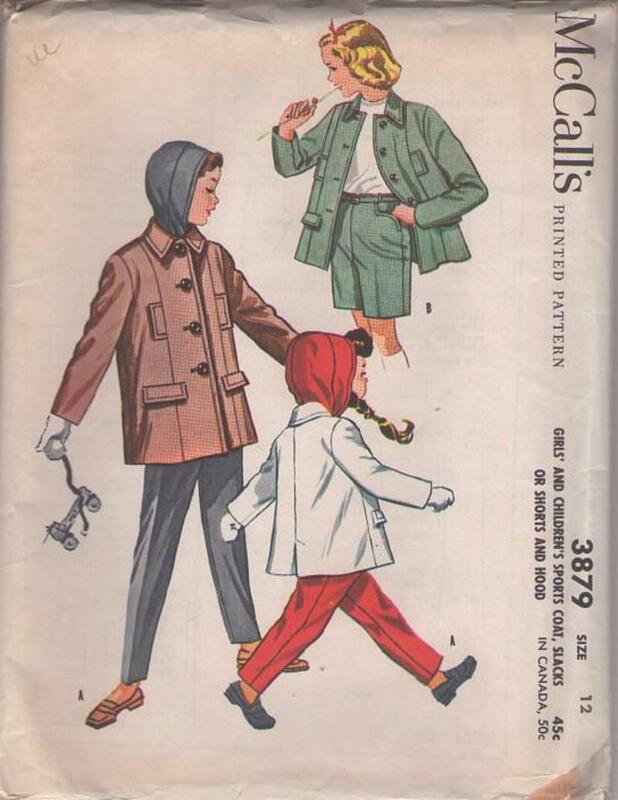 1956, 50s Children, Retro Outerwear Clothing Patterns - Girls & Childrens Sports coat, slacks or shorts and hood. Coat with welt pockets, collar, front button closing. Hood is pullover and tucks in. Shorts & slacks have western shaped front pockets, tapered leg edge & side zipper closing.